Henry Okazaki, was born Seishiro Okazaki in the town of Kakeda, Fukushima Prefecture, Japan, on January 28, 1890. He migrated to Hawaii in 1906 and settled in Hilo, Hawaii. At the age of 19 he was diagnosed as having a lung disease thought to be tuberculosis. As a desperate measure to combat depression, he began his study of Judo under the tutelage of Master Yoshimatsu (Kichimatsu) Tanaka at the Shinyu Kai Dojo in Hilo. The arts fascinated him and eliminated his frustration over his illness. He practiced with all his strength and being. Strangely, his devotion led to a complete recovery from his illness. 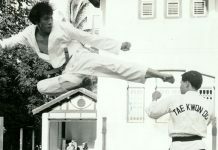 In his own words, he became the “owner of a body as if made of iron.” Thereafter, he dedicated his entire life to Judo. 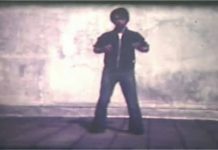 Professor Henry Okazaki studied various arts including Namba-Shoshin Ryu, Tenshin-Shinyo Ryu, Yoshin Ryu, Kodokan Judo, Iwaga Ryu, Kosogabe Ryu, Ryukyu Karate Jutsu, etc. He returned to Japan in 1924 traveling from as far north at Morioka City to as far south as Kagoshima City, visiting more than 50 schools. 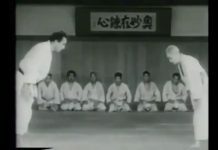 He studied the “Okugi”, considered the “very secret techniques.” He eventually acquired six hundred and seventy-five techniques and earned a third rank in Judo. Professor Henry Okazaki eventually returned to Hawaii and formed an eclectic system which he called “Kodenkan”. This system included Judo, Jujitsu, Hawaiian Lua, Okinawan Karate, Chinese Kung Fu, and American Wrestling. Breaking with tradition, Prof. Henry Okazaki taught not only the Japanese, but any and all races. 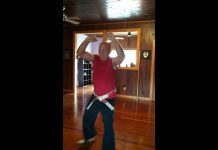 He gave the name “Danzan Ryu” to his school of Jujitsu. He gave it that name for two reasons. One was in honor of an old Chinese man who Professor Okazaki was indebted to (Wo Chong). At that time, the Chinese referred to Hawaii as “Danzan”. The second reason was that most of Prof Okazaki’s studies had taken place in Hawaii. Professor Henry Okazaki also studied Health Sciences and Physical Therapy. In 1929 he bought an office on South Hotel Street and opened the Nikko Sanatorium of Restoration Massage Thus the Okazaki Seifukujutsu Institute was established. Students of his were also expected to excel in the Okazaki system of restorative massage. 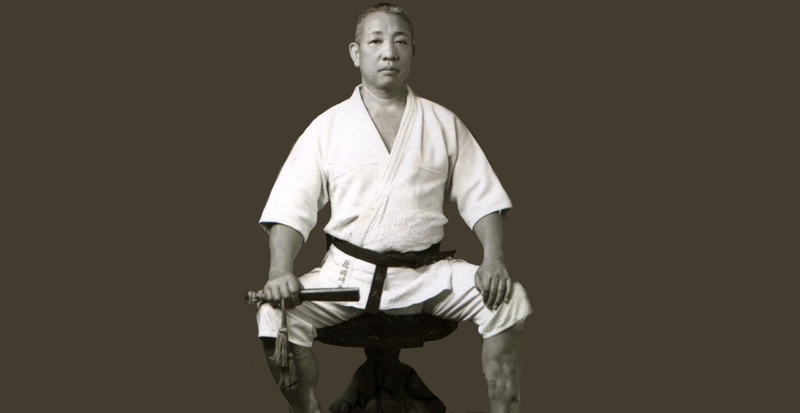 In 1939, Professor Henry Okazaki organized the American Jujitsu Guild which enjoyed a tremendous membership. The onset of World War II brought distressing times. The Professor was interned and interrogated, and later found to be loyal. Many military and government officials testified on his behalf. At the present time, several of Professor Okazaki’s original students are still affiliated with the American Jujitsu Institute. They include: Professor Antone Gonzales, Professor Jack Wheat, and Professor Wally Jay. All of these professors are of the rank of Judan. In July of 1948, Professor Henry Okazaki suffered a stroke which left him partially paralyzed. His students came and applied his own restorative massage techniques on him. Slowly, the paralyzed side of his body was brought back to vitality. Although he was able to return to teaching, his disability continued to haunt him. He suffered another stroke in September of 1950, and another massive stroke in June of 1951, which left him totally disabled. This led to his death on July 12, 1951. 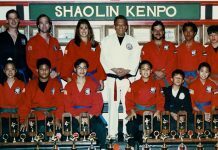 Professor Henry Okazaki found great satisfaction in knowing his American Jujitsu Institute of Hawaii was fulfilling his dreams. Before his death, he expressed his contentedness with his accomplishments. At his death, thousands of citizens who were his students, patients and friends mourned this most successful and humble man. The enormous interest in Kodenkan Jujitsu today, along with the growing number of organizations attributing their roots to him, is a testament to the impact that Prof. Henry Okazaki left in this world. 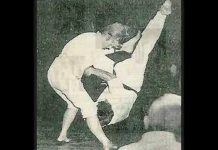 On April 6, 1967, the American Jujitsu Institute Standards Committee awarded Professor Henry. Okazaki the rank of Judan, 10th Dan, posthumously. Seal of the School of Ancient Tradition, or school in which the seniors transmit tradition. Traditionally, a seal such as this, stamped in a special orange or red ink, authenticated documents, such as certificates of rank and scrolls. This is the original seal used by Professor Okazaki. His American Jujitsu Institute is dedicated to the Kodenkan Way of Life. Professor Okazaki’s dojo was also known as the Kodenkan.